El Salvador, Guatemala and Honduras, the three countries that make up the Northern Triangle of Central America (NTCA), are known for exclusionary and inadequate welfare regimes that promote the emigration of their citizens. All three countries are characterized by poverty and inequality, especially in rural areas. 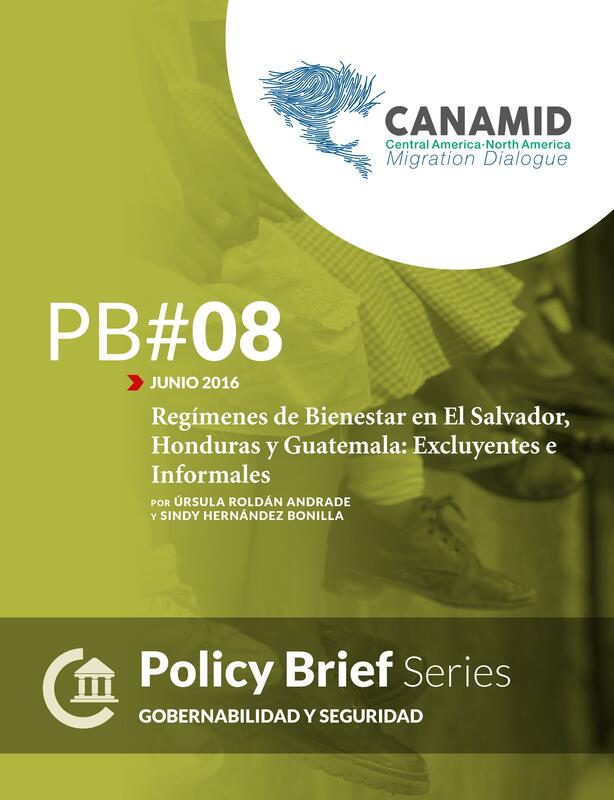 Honduras, in particular, lags behind due to multiple levels of structural inequality. For a portion of the NTCA population, family remittances are a significant factor in their economic activity. Families receiving remittance assistance mostly use the funds for household expenses and healthcare. This policy brief demonstrates the principle characteristics of social expenditures in education, healthcare and social protection in these three countries. Although the budget for education is the highest, high dropout rates and limited access to K-12 schools, trade schools and universities are challenges that must be dealt with across the NTCA region. This paper concludes with a number of public policy proposals aimed at improving the welfare regimes of the Northern Triangle countries, so that citizens will not have to resort to migration as a solution to the precariousness or absence of education, health, employment, and social protection. The implementation of the proposed policies would also respond to the circumstances of returning migrants, so that they might encounter a context distinct from the one that inspired the decision to leave in the first place.